There is a method of sorts to this forms-driven madness: The deluge of information returns is especially pronounced with respect to foreign assets and foreign activities of a US taxpayer. Meanwhile, the penalties for noncompliance range from little or nothing (if the IRS accepts your explanation that there was "reasonable cause" for your noncompliance) to relatively painful (e.g., $10,000 for a non-willful mistake), to exorbitant (in one famous case, over $3 million of assessed penalties for willful failure to file FBAR returns, which penalties were wholly separate from and in addition to the assessment of income taxes, interest and income-tax penalties). 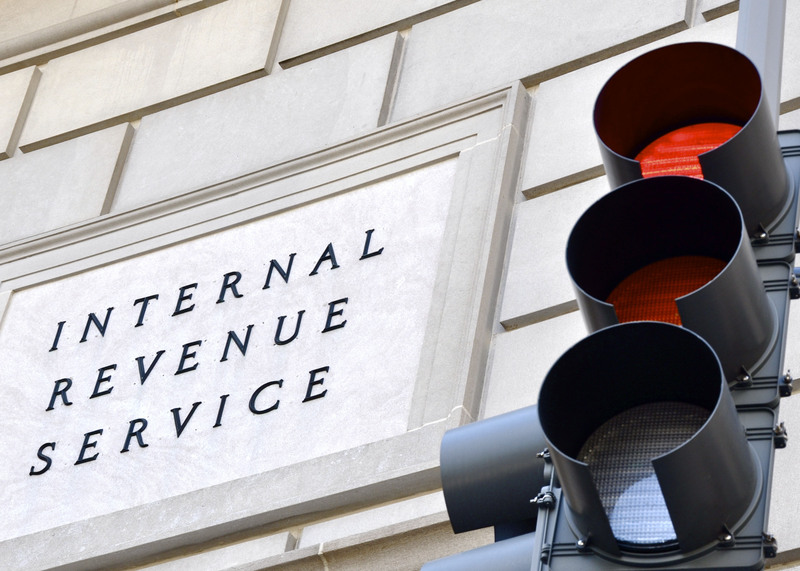 The following is a quick list of some of the most prominent IRS information reporting forms, and the related penalties. Filing Requirements. An FBAR must be filed if a “U.S. person,” had a “financial interest” in, or “signature authority” over, or “other authority” over one or more “financial accounts” located in a “foreign country,” and the aggregate value of such account(s) exceeded $10,000, at any time during the calendar year. The defined terms are not actually found in the law, and are derived almost entirely from the FBAR instructions. Assets Covered. FBAR focuses primarily on assets held in “financial accounts” in a “foreign country” and is generally not as broad in scope as the assets covered by Form 8938, described below. Filing Date. The Form 114 is due on June 30 of each year with no extension (but starting with calendar year 2016, the filing date will switch to April 15, 2017, and each April 15th thereafter, with a 6-month extension available). Penalty for Non-Compliance. The penalty for a non-willful failure to file is an amount of up to $10,000; but this non-willful penalty does not apply if the filer can demonstrate “reasonable cause” for the non-compliance (which is not very easy to do – mere ignorance of the filing obligation is not likely to get you off the hook). In the case of a willful failure to file, the penalty can be a whopping amount: the greater of $100,000 or 50-percent of account balances. Criminal penalties may also apply. Purpose of Form. This form is used to report specified foreign financial assets if the total value of all the specified foreign financial assets in which you have an interest is more than the specified threshold. Filing Thresholds. Form 8938 applies if the taxpayer has specified foreign financial assets that exceed $50,000 on the last day of the tax year or $75,000 at any time during the tax year (higher threshold amounts apply to married individuals filing jointly and individuals living abroad). By way of comparison, FBAR applies if the taxpayer has over $10,000 in foreign accounts at any time during the calendar year. Assets Covered. Form 8938 covers a broader range of assets, including assets held offshore but not in a financial account. For example, foreign stock or securities not held in a financial account (e.g., book-entry shares or dividend reinvestment plan shares) are reported on Form 8938 but not on FBAR. Likewise a foreign partnership interest, such as a foreign hedge fund or foreign private equity fund, is reported on Form 8938 but not FBAR. Financial accounts in a foreign branch of a U.S. bank or financial institution. Bank accounts over which a person has signature authority, even if the account is owned by or belongs to someone else. Filing Date. Form 8938 is filed with, and due at the same time as, the U.S. federal income tax return, Form 1040. Duplication of FBAR and Form 8938. The Form 8938 is hugely duplicative of the FBAR and this massively redundant regime makes very little sense. However, the IRS has made it clear that BOTH forms must be filed each year. Form 8938 Penalties Compared to FBAR Penalties. Under Form 8938, the applicable penalties are up to $10,000 for failure to disclose and an additional $10,000 added for each 30 days of non-filing beginning 90 days after the taxpayer receives an IRS notice of a failure to disclose, up to a potential maximum penalty of $60,000; criminal penalties may also apply. These penalties are substantial, but no where near the FBAR penalty levels. Taxpayers must report must report various transactions involving foreign trusts, including creation of a foreign trust by a United States person, transfers of property from a United States person to a foreign trust and receipt of distributions from foreign trusts under IRC § 6048. This return also reports the receipt of gifts in excess of $100,000 from foreign persons or entities under IRC § 6039F. Taxpayers must also report ownership interests in foreign trusts, by United States persons with various interests in and powers over those trusts under IRC § 6048(b). The penalty for failing to file each one of these information returns or for filing an incomplete return is the greater of $10,000 or 5 percent of the gross value of trust assets determined to be owned by the United States person. Certain United States persons who are officers, directors or shareholders in certain foreign corporations (including International Business Corporations) are required to report information under IRC §§ 6035, 6038 and 6046. Taxpayers are required to report transfers of property to foreign corporations and other information under IRC § 6038B. United States persons with certain interests in foreign partnerships use this form to report interests in and transactions of the foreign partnerships, transfers of property to the foreign partnerships, and acquisitions, dispositions and changes in foreign partnership interests under IRC §§ 6038, 6038B, and 6046A. IRC § 1298(f) and the applicable regulations do provide for a specific penalty for failure to file Form 8621. However, the Form 8621 filing requirements are essentially co-extensive with the Form 8938 filing requirements. Under IRS § 6038D, a U.S. individual must disclose foreign financial assets on Form 8938 if the aggregate value of the individual’s foreign financial assets exceeds the applicable threshold; however, this disclosure requirement does not apply to a foreign financial asset disclosed on another IRS information return, including a Form 8621. A U.S. person who fails to disclose a PFIC ownership interest on either Form 8621 or Form 8938 is therefore subject to the $10,000 penalty under §6038D(d). Another consequence of failing to file Form 8621 is the suspension of the statute of limitations with respect to the U.S. shareholder’s entire federal income tax return until the shareholder files Form 8621. The suspension of the statute of limitations will be limited to the unreported PFIC interest and will not apply to other portions of the U.S. shareholder’s tax return so long as the shareholder can show “reasonable cause” for the failure to file Form 8621. If you are not fully in compliance with the myriad IRS information reporting obligations, you are not alone. In fact, the IRS currently estimates that only about 10% of all US taxpayers are in full compliance with these reporting obligations. Yikes. Fortunately, there are various relief programs available, including the Overseas Voluntary Disclosure Program and the Streamlined Filing Compliance Procedures, which can help reduce the financial sting of coming into compliance. Please contact tax attorney Joseph B. Darby III at JBDarby@sandw.com or at (617) 719-1534, if you have any questions or would like help with IRS information returns and related income tax issues.